Everyone gets bored with the basic sandwich (though it does have its place! 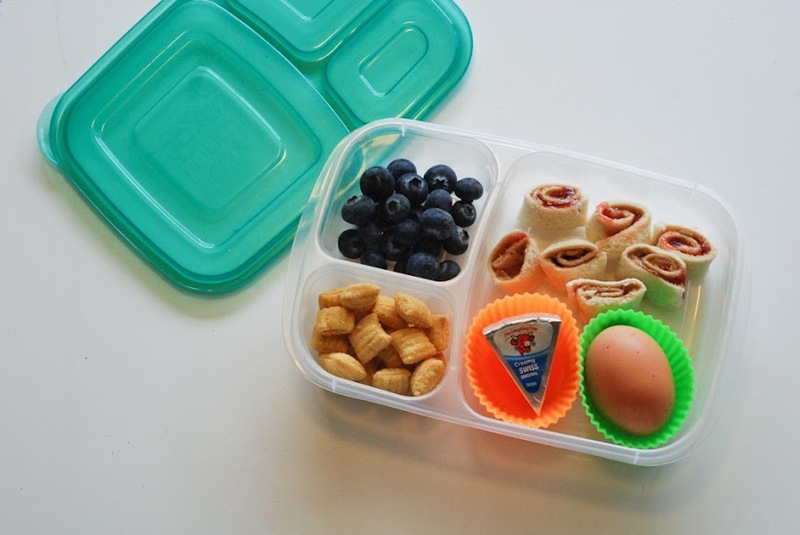 ), but not all parents have the time or desire to whip up an amazing bento box lunch. And yet relying on school lunch or supermarket convenience foods is not necessarily the best for your budget or your kid’s health. 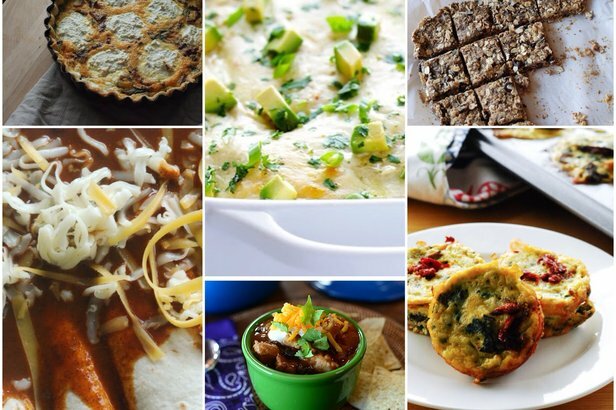 Here are 10 ideas to take you beyond the basic sack lunch and into lunchroom stardom. 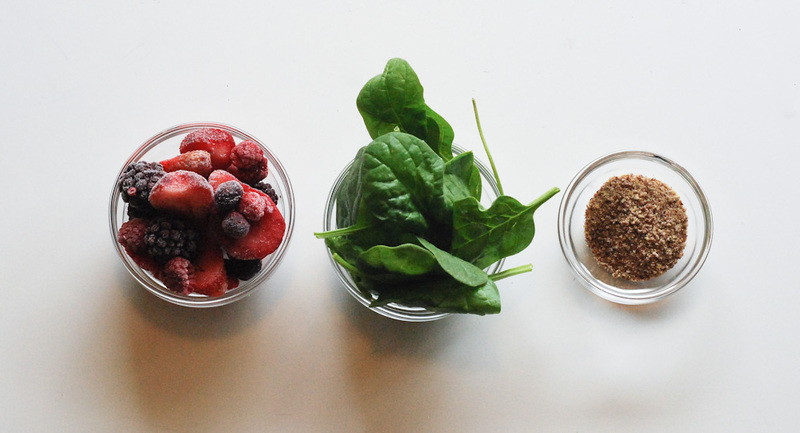 Smoothies can be a great way to pack in nutrition while providing a tasty treat. Speed up your smoothie prep by making green smoothie freezer packs in advance. Mix 1 cup greens (spinach, kale, arugula) plus 1 cup fruit (pineapple, banana, mango, strawberries) plus 1 tablespoon booster (chai seeds, flax seeds, nut butter) and freeze in freezer bags. Then the morning before school, blend with 1 cup milk and put in a thermos to enjoy later. Make-ahead tip: Buy large bags of frozen fruit and frozen greens next time you’re at the store and then pre-mix bags of frozen smoothie packs for a quick morning lunch prep. Smoothies also make delicious breakfasts! Everyone loves a good muffin and they don’t have to be nutritional wastelands. 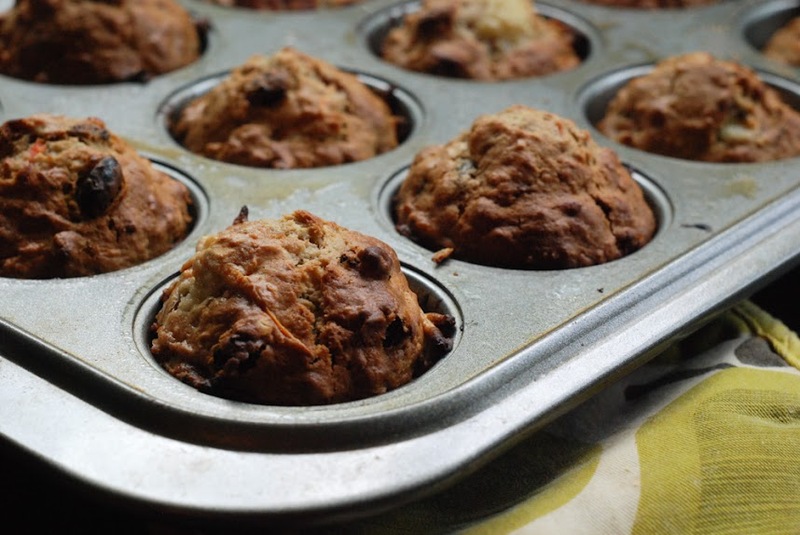 These morning glory muffins are packed with tasty goodness and healthy bits. Do you have a pumpkin fanatic on your hands? Mini pumpkin oat banana muffins will be a welcome addition to the lunchbox. Strawberry jelly muffins pay an homage to the classic PB&J while dairy-free butternut banana mini muffins are sure to be a hit. Make-ahead tip: Make a double or triple batch of your favorite muffins and freeze for months of muffin-y delight. Keep your child’s lunch chilled until lunchtime with an inexpensive “ice pack” that will keep lunches cool without making a mess. 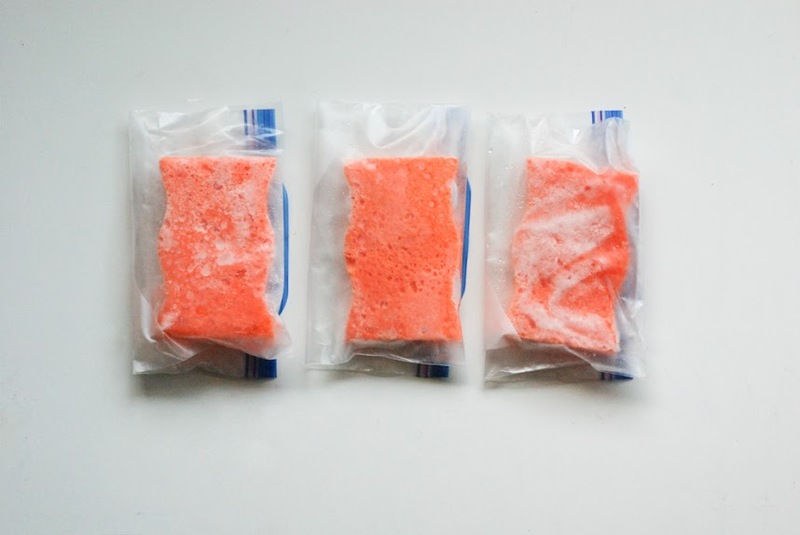 Soak an unused sponge in water and place inside a freezer bag for this “OK if lost” option. Make-ahead tip: Visit the dollar store for inexpensive sponges and freeze a week’s worth of ice packs. The humblest of ingredients shine when wrapped inside a tortilla. 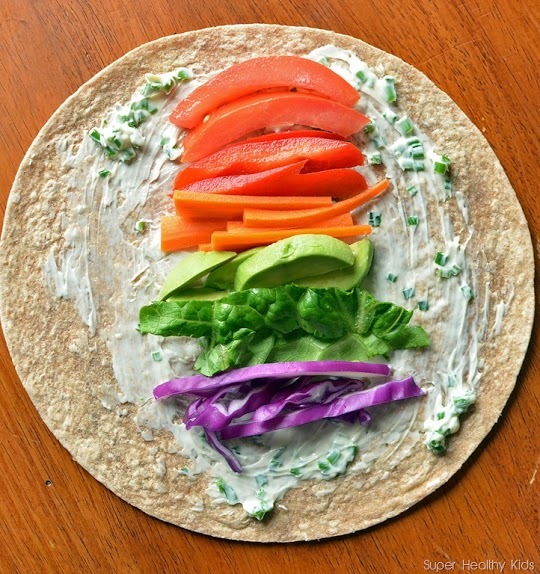 Make a batch of rainbow vegetable wraps with hummus or spreadable cheese for a prism of flavor. 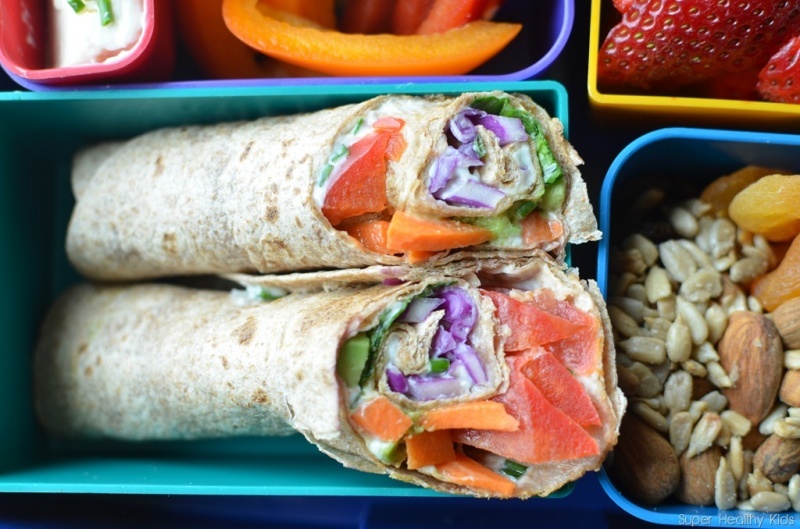 Wrap up some tangy veggie wraps or wrap and roll sandwiches for a lunchbox feast. Make-ahead tip: Chop up your veggies at the beginning of the week to speed up your wrap creation on busy school day mornings. Casseroles are usually reserved for dinner or a potluck but they are also perfect for the lunch sack. Make a casserole on Sunday and have lunch all week! 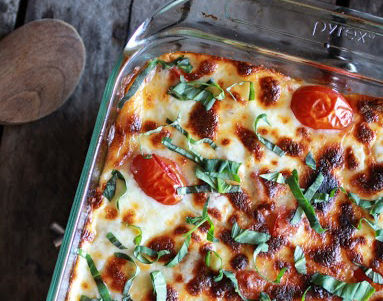 Half Baked Harvest’s creamy caprese quinoa bake tastes like homemade lasagna with the protein packed goodness of quinoa. Cheesy chicken broccoli rice will fill up your student’s stomach all afternoon long. Make-ahead tip: Double your casserole and freeze single-servings for future lunches. Cheese and tortillas? Yes, please! 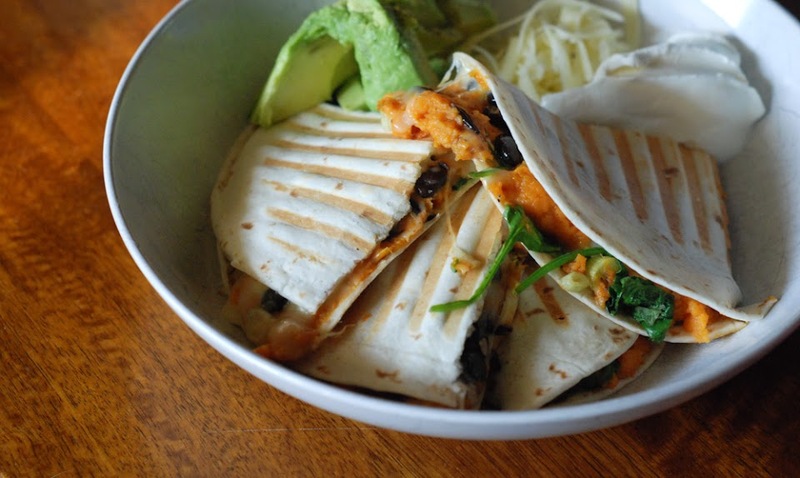 Quesadillas are a great lunchtime meal. Keep them classic and simple with just cheese or add a punch with some spinach, black beans or roasted vegetables. Cookie Monster Cooking’s sweet potato black bean and kale quesadillas will be a nutritional hit at the lunch table. Your pizza fanatic will love these pepperoni pizza options and these spinach, chicken and avocado Quesadillas are perfect for any lunchbox. Make-ahead tip: Make quesadillas the night before and pack up school lunches so all you need to do is grab them from the fridge in the morning. Why wait until dinner to enjoy breakfast? 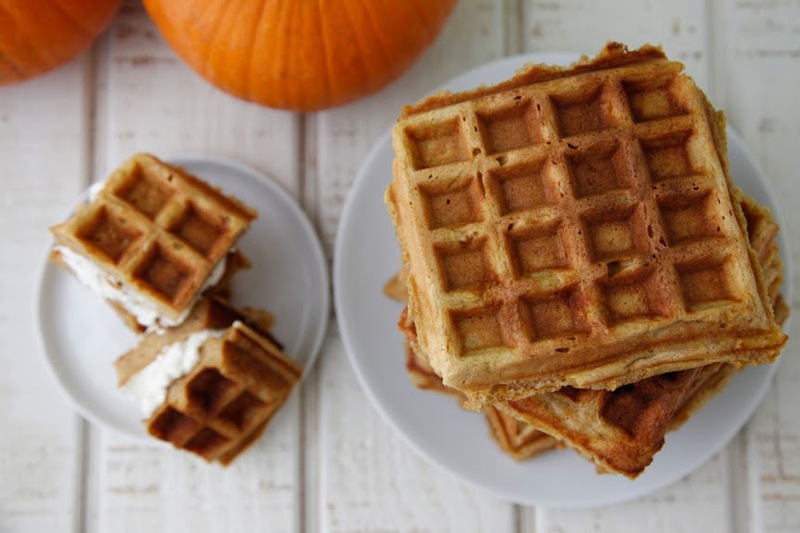 Pack pumpkin waffles or summer vegetable pancakes along with fruit and everyone’s favorite meal of the day can be enjoyed whenever you want. Eggy frittata muffins pack a protein punch with tasty flavor, particularly when paired with your kid’s favorite vegetables. Make-ahead tip: Freeze a batch of waffles, pancakes or frittata muffins for lunchbox enjoyment. Lunchbox hors d’oeuvres bring a bit of elegance to the simple lunchbox. Use toothpicks to skewer tomatoes, cheese and turkey slices. Pair crackers with cheese or deli meat for a cracker sandwich. Cucumber feta rolls are simple and filling. Broccoli parmesan meatballs and mini tostadas give boring old veggies plenty of taste. Make-ahead tip: Make meatballs ahead of time, freeze and defrost in time for lunch. The sandwich is a lunchtime staple but bring some excitement to lunch with a sushi sandwich. Take white bread and remove the crusts. Flatten with a rolling pin. Spread your sandwich filling of choice (the classic PB&J is delightful with sunflower butter and strawberry jam) before rolling up tightly. Slice into pieces and serve up your sandwich sushi! Make-ahead tip: Your sandwich sushi can be easily made the night ahead. Keeping a stash of convenient foods on hand is a no-brainer! Make hardboiled eggs. Stock up on single-serving hummus containers and cheese slices or sticks. Pack up some cereal for a crunchy treat. Make-ahead tip: Cut up veggies, make hard-boiled eggs and package up hummus containers for easy grab and go lunch box staples. 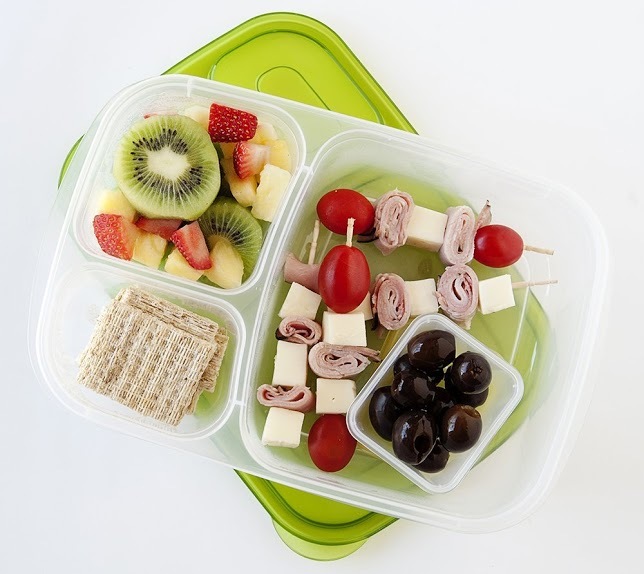 The perfect lunchbox container will inspire your lunchbox creations. 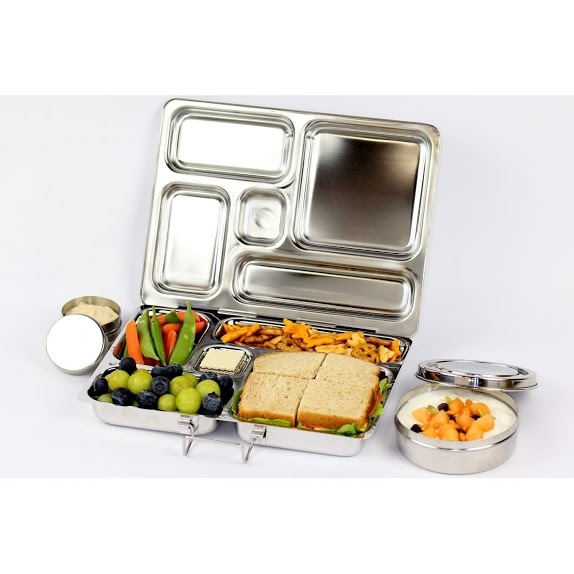 From the classic PlanetBox to Easy Lunchboxes three compartment containers and the Bentology Bento lunch box give structure to your lunchbox creations. Rebecca Mongrain is a writer and photographer who writes about the wonders of parenting, food and home. She spends her days with her children while discovering new adventures.